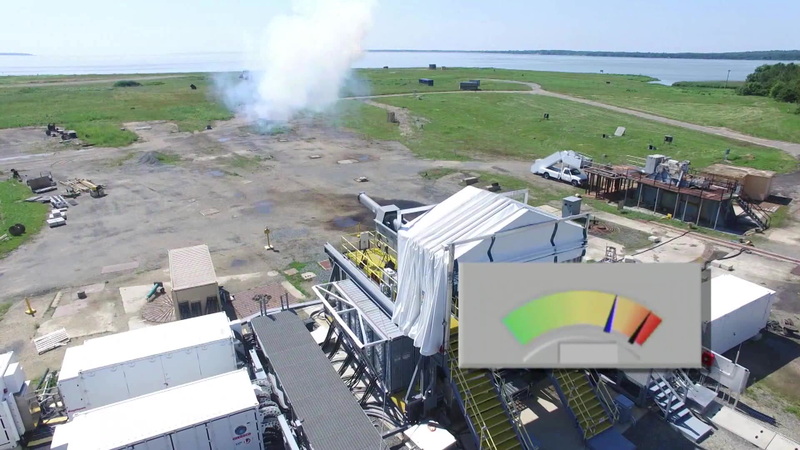 The Navy’s futuristic electromagnetic railgun may be dead in the water, but other countries appear to be plowing ahead with their own research. New photos circulating purportedly show a Chinese navy landing ship with the distinct housing of an electromagnetic railgun mounted on its bow. The photos, first reported by The War Zone on Jan. 31, show the Type 072III-class landing ship Haiyang Shan docked at the Wuchang shipyard in China’s central Hubei province, the largest of the People’s Liberation Army Navy’s inland shipyards and a major production hub for the country’s conventional submarines. Sharp-eyed observers quickly noticed that the twin 37mm cannon standard for the class had been replaced by a massive deck gun jutting from a bulky, enclosed turret. The gun barrel itself suggests a capability far beyond conventional projectile or powder cannons in service among China’s existing fleet, let alone any modern navy. “No other existing weapon or known planned system matches the size of the gun's massive cupola nor the extremely fat profile of its barrel,” Tyler Rogoway observes at The War Zone. “The closest some could find was the Type 055 destroyer's H/PJ38 130mm deck gun or the PLZ05 155mm self-propelled howitzer's gun system, but neither of these are anywhere near the scale as [this] system." In addition, the large enclosure in particular most resembles the assembly of the Office of Naval Research’s current prototype railgun. U.S. defense officials previously told Task & Purpose that developing a tactical railgun demonstrator requires integrating the weapon with a surface warship’s existing electrical system, an engineering challenge solved by developing a shielded above-deck power source built directly into the turret. The sudden appearance of a shipboard railgun prototype isn’t outside the realm of possibility. The Chinese military has been conducting electromagnetic research since the mid-1980s, and as recently as 2015, a Chinese defense firm claimed to have achieved a major breakthrough on applying the technology for close-in weapons systems used for point defense. More recently, state-run media reported in October 2017 that researchers at the PLA Naval University of Engineering (also located in the Hubei province) had developed the “electromagnetic launch technologies” necessary to develop a combat-ready demonstrator. The following December, Popular Science reported that chief electromagnetics researcher Rear Adm. Ma Weiming gave a follow-up presentation on several recent breakthroughs that “were key to building an operational railgun,” namely the high-durability barrel and the pulsed-power system required to achieve multi-shot salvos from the devastating weapon. If confirmed, the photos suggest that United States’ perpetual budget wrangling has allowed the Chinese navy to eat the Pentagon’s lunch. 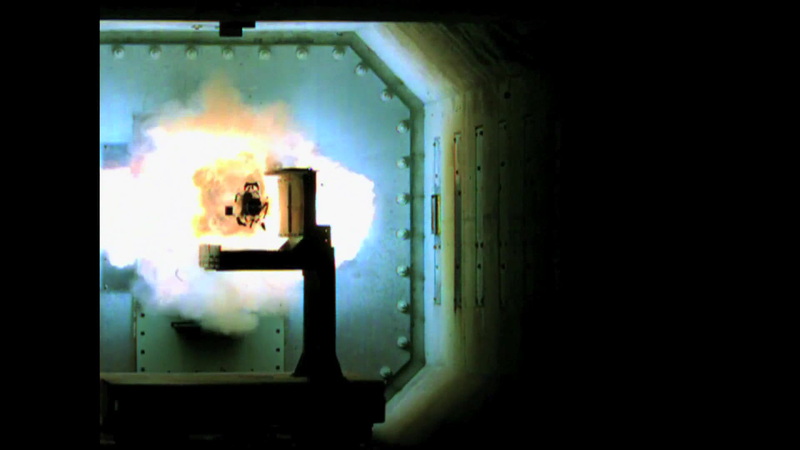 As Task & Purpose reported in December 2017, the future of ONR’s electromagnetic railgun project remains unclear amid cuts to research and development budgets and a shifting focus toward the hypervelocity projectile — the supersonic shell initially designed as specialized ammo for the railgun — among the military planners in the Pentagon’s Strategic Capabilities Office. And while the DoD has embraced the HVP as a novel form of missile defense deployable from conventional artillery systems, the PLAN appears more focused on deploying the gun for offensive operations. 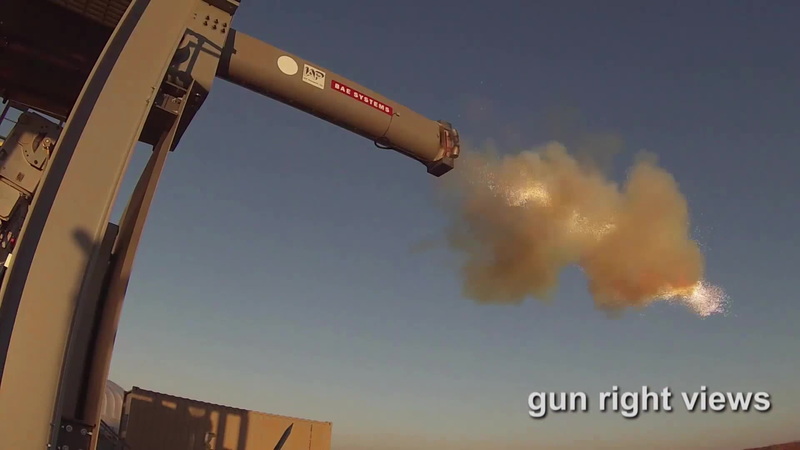 There are still a lot of questions surrounding the Chinese railgun project, but the message is clear: The electromagnetic railgun is no longer a purely American military option. On Jan. 12, weeks before photos of the Haiyan Shin circulated online, Army Recognition reported that researchers at the Joint Institute for High Temperatures of Russian Academy of Sciences had dramatically increased power generation over previous electromagnetic railgun models sixfold, from 0.8 to 4.8 megajoules (although it’s worth noting that Russian state media puzzlingly claimed its railgun can fire shells at 3 kilometers a second, far faster than those fired by ONR’s 32-megajoule cannon). As both China and Russia embrace hypersonic weapons, it’s clear both militaries recognize the game-changing nature of the electromagnetic railgun. But it’s unclear if U.S. lawmakers and the Pentagon’s Strateic Capabilities Office will come around remains to be seen.